Our Square Table is constructed in beautiful 1-inch thick birch laminate for superior strength and durability in a safe, non-toxic natural UV finish. The table surface is finished in the same high-pressure laminate (HPL) used on kitchen counters, making these tables extremely scratch resistant and able to withstand rigorous use by children. 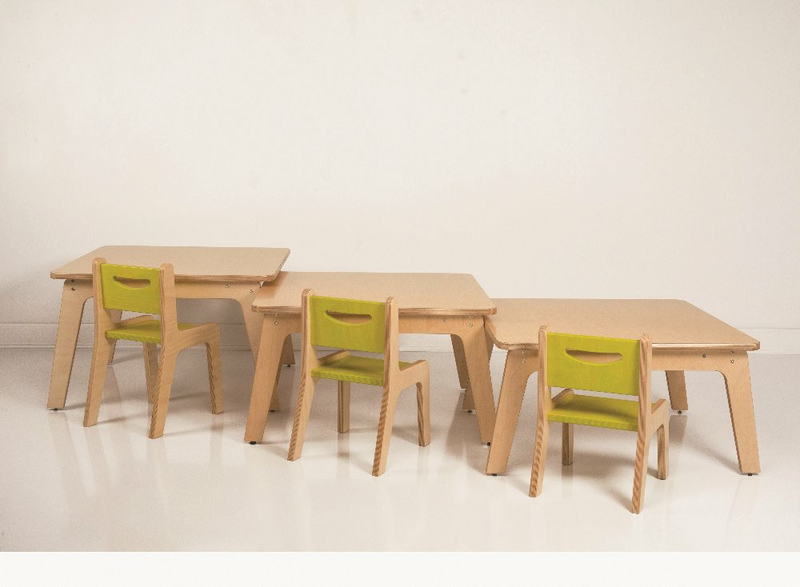 The stylish legs are interchangeable in heights of 18", 20" and 22" so your furniture can grow with children. 35"W x 18"H or 20"H or 22"H x 35"D.
GreenGuard Gold and BIFMA certified.